We are involved in the manufacture of various other machines in our line-up. Our machines are popular for the longevity of their operations and other in-hand operations that come for completion at various other specifications and operations for the long run and high utility. Additionally, our machines make use of the best possible input components for a perfect output. 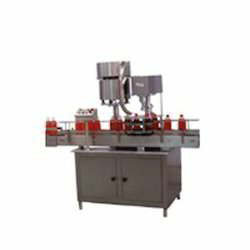 UNIQUE PACKAGING SYSTEMS offer Automatic Liquid Filling Machine for Mineral Water, Medical Syrups, Chemicals. Juice. These are highly suitable for Mineral Water, Medical Syrups, Chemicals. Juice etc. 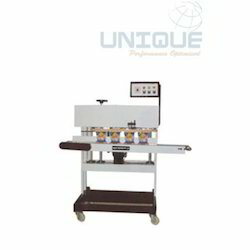 UNIQUE PACKAGING SYSTEMS offer Automatic Ropp and Aluminium Cap Seal Machine For Bottles Capping. These are highly suitable for all type of bottles capping.